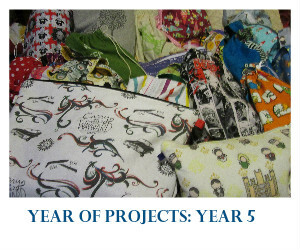 What a great idea to just do WIPs for a year. I agree that bulky yarn is hard on the hands. Even with slippery needles it os a pain. You have some great items there to be worked on. Looking forward to seeing them being completed. Oh my...look at all those wips! Congratulations on starting your fifth year. This is just my first and I am only half way through but loving the progress and camaraderie! I did Brioche knitting last year for the first time and I loved it. Lots of great projects! Maybe we're all in the mood to do WIP's? I'm feeling like other than gifts I really need to wrap up some projects! I have a multnomah about as far as yours too! I put it aside for Christmas knitting or was it birthdays? Congrats on all you have accomplished and you go girl! Oh wow. That is quite an assortment of WIP's (and I thought I had a lot, haha). I love self striping yarn too! I used to think you were mad with all of your WIPs! But now I am exactly the same - I have two baskets of things that I just need to finish. Maybe this will be the year I actually finish them! Oh my, what lovely WIP's! I really need to finish a couple of things, it's a really good idea to start tidying them up - I think I shall follow suit.